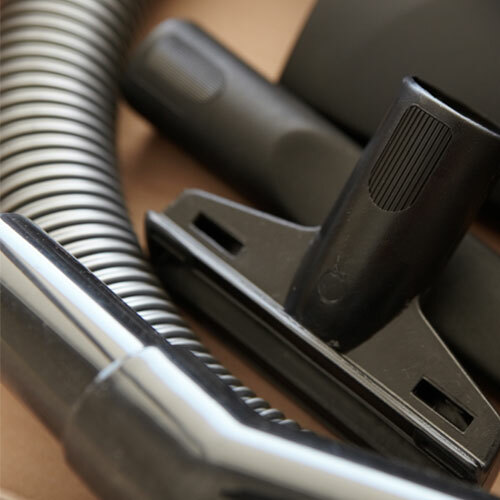 Having a central vacuum system in your home has many benefits but one is the added convenience with your daily cleaning regiment. Below we will highlight some of the most popular additions for a central vacuum system. VacPan – Think of this basically as an automatic dust pan for rooms with smooth floors. Its genius! Flush mounted to a wall, baseboard, or toe kick of a cabinet, it is activated by a switch of the lever to the on position. Ideal for the kitchen, mudroom, garage and even hair salons and restaurants. It is compatible with all central vacuum systems. DrawerVac – Works the same as the VacPan but is mounted underneath the countertop or in a drawer. It’s activated when the tray is pulled forward. Brush debris into the suction stream and it is pulled into the central vac pipe. Once drawer is retracted the vacuum is automatically turned off. It is compatible with all central vacuum systems. 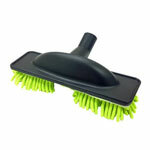 Dust mop floor attachment – This dust mop attachment for the central vacuum hose is made with microfiber dust fringe. It’s ideal for cleaning smooth floors, especially hardwood. Most debris is sucked into the tool. Very fine dust that can be left by standard floor brushes clings to the microfiber. The microfiber pad is held in place by Velcro and can be removed for washing. 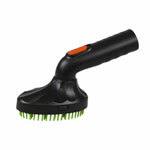 Pet attachments– This soft clean pet brush attachment can be used directly on your pet. Soft rubber bristles comb through your pet’s hair and removes loose hair directly into vacuum system. Please visit the website if you have more questions or contact us at 1-800-533-3249. Don’t forget to visit our FaceBook page for more tips and information.